Different types of coatings are available that you can use for roof painting or restoration. Each type has its own advantages and qualities based on the type of roof that you have and its condition. When choosing a coating, select the right coating based on the roof material and conditions. 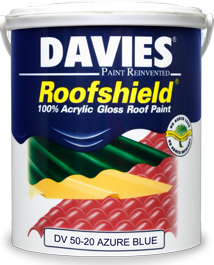 Using the correct paint will extend the lifespan of your roof and provide you with long-term protection. One of the most common roof coatings in the market today is acrylic paint. It was first used in the 1980s over different roof materials. The coating lasts for decades, and many still exist today. Owners and managers now realize the long-term benefits of acrylic elastomeric roof coatings, which significantly prolongs the service life of the roof. They are relatively inexpensive and generally water-based. Water-based acrylic paints are environmentally-friendly and easy to apply. They are commonly-used for cool roofs since they tend to cool down the roof because of their reflectivity or ability to reflect sunlight back instead of absorbing the heat. Cost-effective since they reduce energy costs because of the coating’s cooling effect. Prolong the lifespan of your roof because they protect it against Ultraviolet exposure. They have elastomeric properties and can withstand fluctuations in temperatures without the coating being negatively affected. The coating creates a seamless and uniform surface that retains flexibility even at abnormally low temperatures. It contracts in cold weather and expands in hot weather, thereby protecting the roof from the elements under different weather conditions. The adhesive elements allow the acrylic coating to adhere to the roof surface even in unusually windy and wet conditions. Its dirt-resistant technology ensures the coating’s preservation of energy-saving and reflective qualities and fresh, clean appearance. It does not result to additional weight or dead load to the roof when applied to existing structures. It is based on standards specified by laws that require a proper level of quality. The standards were determined based on actual performance data of acrylic roof paints gathered from several manufacturers over different types of roof materials for the past 20 years.